Daviess County Economic Development Corporation is committed to enhancing the business climate and improving the standard of living in our community. 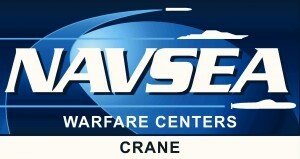 Many companies who need the expertise of energy storage and battery experts associated with universities and major defense military laboratories like the Naval Surface Warfare Center (NSWC) Crane Division locate within the Daviess County area of WestGate@Crane. 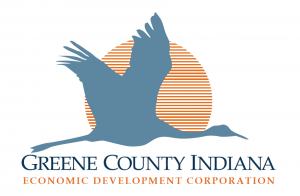 The Greene County Economic Development Corporation’s mission is to enhance the quality of life for Greene County residents by fostering an environment that will create and retain jobs, increase the tax base and promote economic growth. 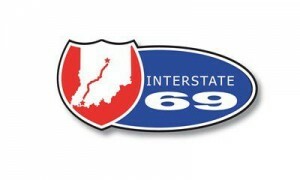 The goal of the I-69 Innovation Corridor is to increase the Innovation Index score by 20% by 2025 in order to allow our region to leverage the new I-69 Interstate connecting Evansville to the Naval Surface Warfare Center (NSWC) Crane, and our technical, manufacturing, educational and agricultural infrastructure in order to convert knowledge into prosperity. Focusing on Brainpower, Innovation & Entrepreneurship Networks, Quality & Connected Places, Branding Experiences, and Civic Collaboration, we are bringing together key leaders and community members to create a regional approach to ‘future-proof’ our region and retain and attract the 21st-century brainpower that will support globally competitive businesses. The Indiana Economic Development Corporation (IEDC) is the State of Indiana’s lead economic development agency. The Indiana Office of Defense Development (IODD) was established by Executive Order 13-6 in January of 2013 and soon after established by Senate Bill 529 with 100% backing by both the Indiana House and Senate membership. IODD falls under the Lieutenant Governor’s family of businesses and plans to capitalize on the rich heritage Indiana has of serving our nation in the area of defense. Indiana is an extremely patriotic state and Hoosiers place a high value on Indiana’s defense installations and defense related industry. Indiana has the fourth largest National Guard and is consistently one of the largest military recruiting states on a per capital basis. The Martin County Alliance is the local economic development organization dedicated to supporting business expansion and retention, business attraction, and serves as a resource for local businesses. Martin County is home to the third largest U.S. Naval installation in the world; locations and production facilities for publicly-traded corporations; and numerous homegrown, entrepreneurial businesses. The mission of Radius Indiana is to lead regional collaboration by leveraging the diverse assets of Southern Indiana to drive attraction, retention, and expansion of business, thereby increasing employment and investment opportunities and quality of life within the region. 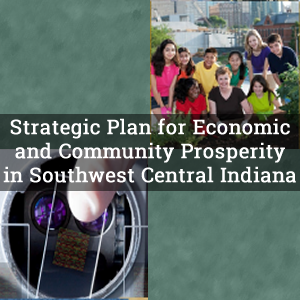 The Southern Indiana Development Commission is a voluntary organization of local government serving Daviess, Greene, Knox, Lawrence, and Martin Counties to provide assistance with community and economic development. SIDC utilizes multi-faceted resources, opportunities, and skill to strengthen and improve the quality of life in the area. The WorkOne center is the heart of the workforce development system. It’s where service delivery partners connect with customers, and with each other. WorkOne helps people find a new or better job, choose a career, find a good employee, access training, or get the information needed to succeed in today’s ever-evolving workplace.